Q: What is required to strengthen women’s land and community forest rights in practice in India? Women in India, particularly rural women, face enormous challenges in getting their collective land and resource rights recognized. This is not unique to India, but applies to all patriarchal societies. Customary laws and cultural norms have largely denied women property rights and kept them out of community decision-making bodies. This relegates them to a disempowered and poorly informed status, often making it exceptionally difficult for them to question the status quo. Through the ages, India has had progressive leaders championing women’s property and other rights. This is reflected in the Indian Constitution, which guarantees equal rights to all citizens irrespective of gender, caste, or class. Women’s movements in India have already played a stellar role in getting several progressive laws and policies adopted to further advance the legal recognition of their rights. The Scheduled Tribes and Other Traditional Forest Dwellers (Recognition of Forest Rights) Act, 2006 (Forest Rights Act or FRA for short) incorporated progressive policies recognizing women’s land rights within communities, some for the first time in any Indian legislation. Although several government policies require issuing new land titles in the joint names of both spouses, the FRA is the first Act to incorporate this requirement into the law itself. It further clarifies that in the case of households headed by a single person, whether man or woman, the title should be in the name of that household head. In the case of community forest rights, as noted by RRI’s recent gender study, the FRA is one of only two legislative frameworks (out of the 80 frameworks studied in 30 countries) that not only recognizes the equal rights to community forests for all adult women members of the village assembly, but also requires their participation in decision-making: one third of participants in village assembly meetings must be women to reach quorum. Women’s representation is equally required in all other decision-making authorities under the FRA. Q: How has the Forest Rights Act helped secure women’s land rights? Women’s empowerment by these legal provisions became evident when the Supreme Court of India, based on the FRA and other laws and constitutional provisions, ruled in 2013 that it is the village assemblies of the indigenous Dongria Kondh community in Odisha’s Niyamgiri hills that must decide whether a proposed mining project in their sacred hills would impact their cultural and spiritual rights. The village assemblies of all 12 consulted villages, with women participating actively, said no to the mining proposal. In other villages, where women had already been protecting their forests, they now feel empowered to prevent destructive activities perpetrated by both outsiders and the forest department. In the buffer zone of the Simlipal tiger reserve in Odisha—where both women and men have been made fully aware of the provisions of the FRA—the women stopped the forest department from fencing their sacred grove and planting exotic species in and around it. The women’s own priority is to regenerate useful local species by dropping their seeds into good soil while collecting other forest products. In many cases, women have taken over forest protection from the men, as they are often more effective in preventing illicit logging by outsiders. The active participation by aware and empowered rights-holding women in forest governance has the potential to transform forested landscapes by increasing their biodiversity as well as socio-economic and cultural value. For many of the women, the forest is not only a source of valuable food, fodder, fiber, and other useful products, but is also akin to their parental home for seeking peace and rejuvenation. By virtue of their gendered role of providing food for their households, women have rich indigenous knowledge about their forests that can be nurtured and protected through the recognition of their rights in the governance of community forests. Q: What are the biggest challenges to implementing the FRA? In India, as elsewhere, translating noble constitutional and legal provisions into changes on the ground is a difficult process. Realizing the full potential of the FRA for women faces major hurdles. Government agencies responsible for disseminating information about the provisions of the FRA among potential claimants have been slow to act. Even when information is disseminated, the Act’s provisions related to gender equality have largely been ignored. Unfortunately, even civil society organizations (CSOs) facilitating recognition of forest rights have largely ignored the Act’s gender equality provisions. Official monitoring does not gather gender disaggregated data on recognition of rights—a demand some CSOs have started making now. The result is that while many potential communities remain unaware about the Act’s provisions, even where they are aware, its gender equality provisions remain poorly understood. The ones who suffer most, of course, are the women entitled to recognition of their rights. Q: What are the next steps for recognizing women’s rights? Fortunately, networks facilitating rights recognition have also begun to focus on ensuring the implementation of the FRA’s provisions related to women’s participation in decision-making both during the rights recognition process and within forest governance after the recognition of rights takes place. Strategies are also being developed for mainstreaming the recognition of women’s rights by integrating the FRA’s implementation with the ongoing programs and processes of other departments. 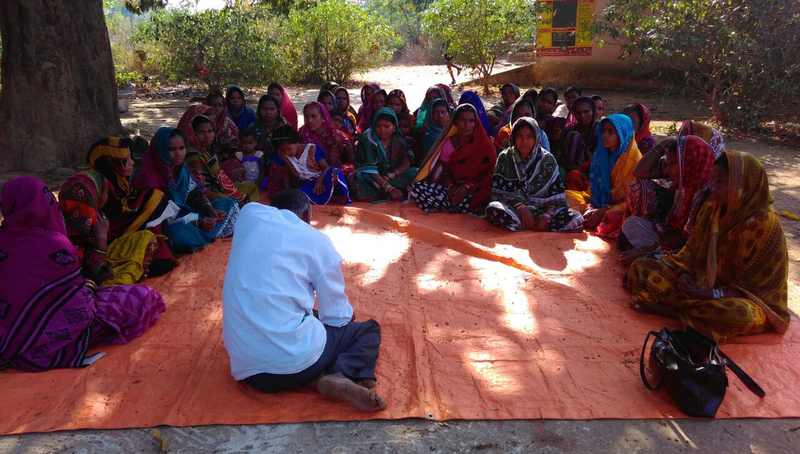 In some states, provisions have been made for organizing separate meetings of women village council members. Efforts are being made to include information about the FRA in these meetings, and its recognition of women’s rights. This is in recognition of the fact that women are able to express their views and priorities in a less inhibiting environment. Activists have also sought to integrate the recognition of women’s forest rights into the recently drafted national policy on women. Yet another initiative under consideration at the national level aims to ensure that women are recorded as cultivators in official agricultural production records. Linking this with the recognition of women’s forest rights could strengthen women’s roles as food producers and forest guardians and mainstream the realization of their rights. This blog was originally published by the Rights and Resources Initiative (RRI).